Matt was introduced to crab fishing by Edgar Hansen, his friend since junior high school. He has been fishing as a deck hand on the Northwestern for 15 years. Prior to fishing on the Northwestern, Matt worked as a restaurant manager and cook. 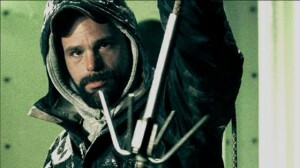 This makes him well appreciated by any crew on the Bering Sea. Matt is fun loving and outgoing. Over the years, he has fought a personal battle against substance abuse. Matt has made a real effort to open a new chapter in his life. He has even reached out to support others facing similar challenges. Matt lives his life according to an old time fishermen’s motto: Fish hard, die rich.